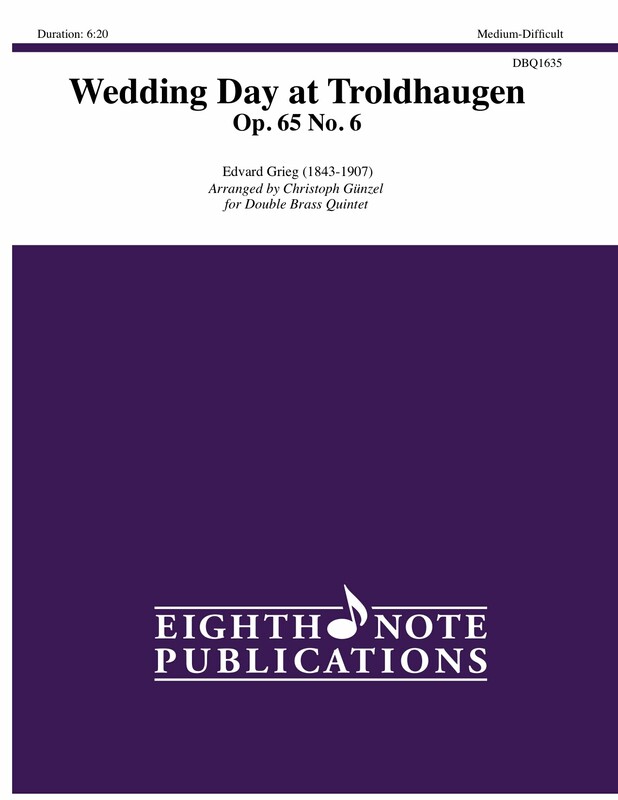 Wedding Day at Troldhaugen was originally composed for piano and was included in the collection Lyric Pieces. This piece was written as a memorial of the 25th wedding anniversary of Grieg and his wife. The work's festive first section describes congratulations and best wishes that are given by the guests to the newlyweds; the second section is reflective and subdued. It has been scored here for a standard double brass quintet (with one trumpet player on flugel), percussion and optional harp.